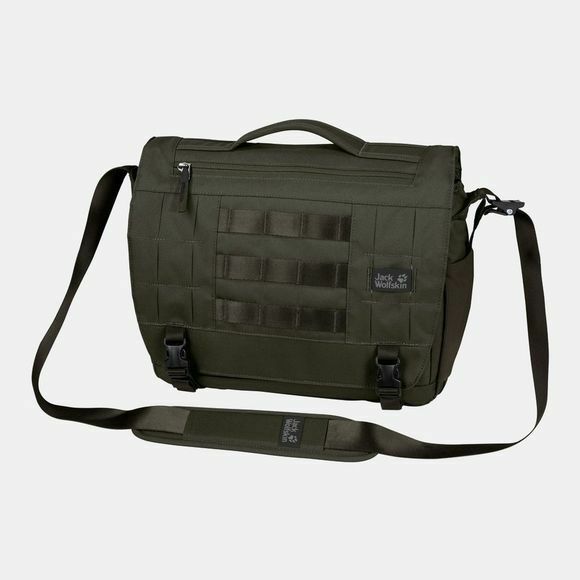 Stash your essential everyday items in the TRT Field Bag and get organised! This stylish shoulder bag is equipped with multiple pockets and compartments. There's a padded compartment at the back for your tablet (10"). And there are additional stow options under the flap and in the front compartment. Another cool feature is the detachable key tape with bottle opener in the main compartment. TRT stands for 'tough, rough, technical' - the luggage series for the tech-savvy user who wants a product that's built to last. The bag is equipped with multiple gear loops on the front. Some of the loops are equipped with high-vis reflectors.